Joint Palestinian-Israeli initiatives are not that rare anymore. In fact, in recent years they have become some sort of business, and funding agencies all over the world are keen on financing efforts at establishing dialogue and co-existance. 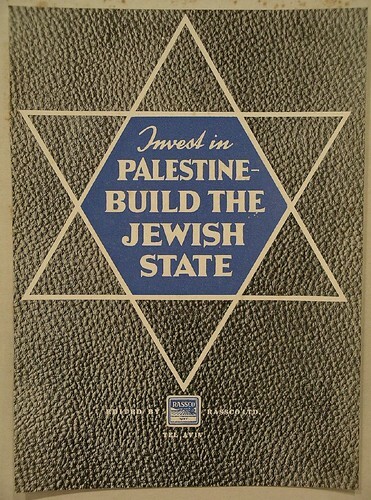 At the same time, those initiatives are frequently criticised, both by more conservative or right wing groups from both sides, but also by more radical leftist groups, who may be in favour of Palestinian-Israeli cooperation, but who bemoan the fact that a majority of those initiatives don't get to the root of the problem, which is the inequality deeply rooted within Israeli law and society. The mixed city of Jaffa appears to be a perfect playground for those projects and initiatives. During a Jaffa tour you will however learn that the often praised historical co-existence of today's Jaffa is way more sensitive and uneasy than the official Israeli discourse may want to make you believe. In fact the Palestinian community today only constitutes a third of the population of Jaffa, with the majority living in the impoverished neighbourhood of Ajami. In addition to that, many Palestinian families in Jaffa live under the threat of home demolitions and evictions, and similar to the Jewish families of low class background who settled in Jaffa after 1948, suffer from increasing rent and housing prices. Jaffa, once a stigmatised borrough of Tel Aviv, associated with crime and poverty is developing into a chic and trendy area branded by its “Oriental charme” once so despised by the Israeli gentry. One of the above mentioned initiatives born in a bomb-shelter in Jaffa's Ajami in 2006, is the music project System Ali. System Ali is comprised of 10 members, including Israeli Jews of different ethnic backgrounds, as well as Palestinians with Israeli citizenship. Their music could be described as hip hop, containing elements of funk, rock and folk. They rap and sing in four languages, including Arabic, Hebrew, Russian and English. Already due to the composition of the band members, their music can be considered a message of peace, but as opposed to other musical collaborations between Jews and Arabs, they do not serve their audience with easily digestible lyrics of the sort of “give peace a chance”. Instead, System Ali deals with some of the core problems of Israeli society. 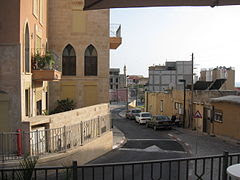 Jaffa is System Ali's home and the history of expulsion of its Palestinian residents in 1948, as well as the continuation of displacement of the Palestinian population serve them as a microcosm to denounce Israeli policies towards the Palestinian population. But System Ali doesn't stop here, it's Russian rapper broaches the issue of discrimination within Israeli Jewish society and tells the audience what it feels like to be told off for using one's native language, while simultaneously empowering himself and his community through the use of the Russian language on stage. 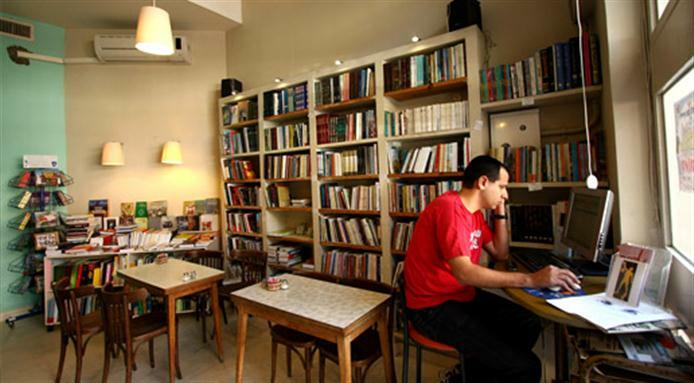 Another such initiative is the Café Yafa, a joint Palestinian-Jewish coffee place, bistro and bookstore, located on 33, Yehuda Margoza. Again, the Café Yafa is not just a place where Jews and Palestinian meet over a cup of coffee, or to eat humus together, a notion that is already evidenced by the selection of books offered in the shop, which range from a wide variety of Arabic literature to radical, political texts about the Nakba (the expulsion of the Palestinian population since 1948) in Hebrew. In addition to that, the Café Yafa immediately became a meeting point for joint Palestinian-Israeli activism within the city of Jaffa, as well as a neighbourhood meeting place for Palestinian regulars. So after all it is true that in Jaffa there are instances, projects, initiatives and spaces of co-existence through equal and non-discriminatory partnership, but they are rare and surely not the ones propagated by the hegemonic Israeli discourse. 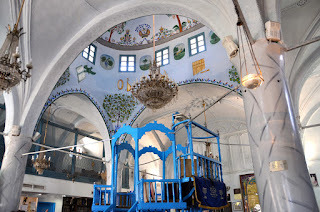 In order to find them you should come on an alternative Jaffa tour, which will enable you to look closer and find those cracks within the polished fabric of "Oriental charme", that institutions such as the Tel Aviv municipality are trying to present to the regular tourist.